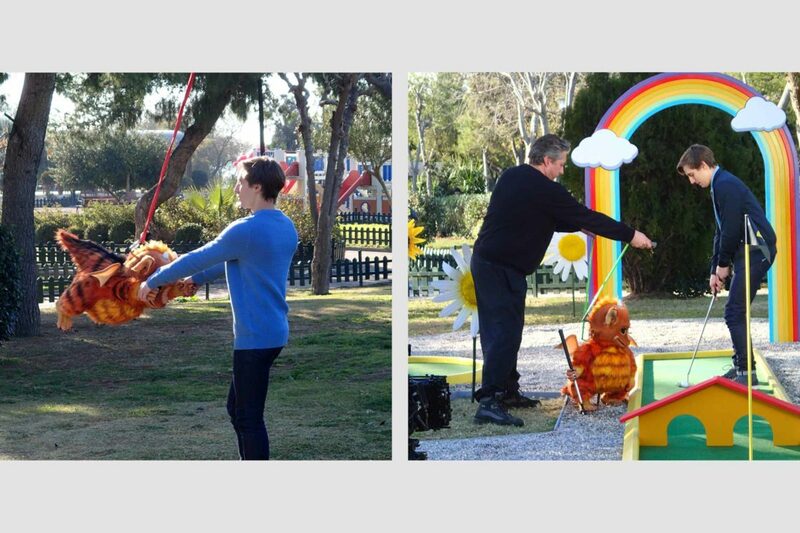 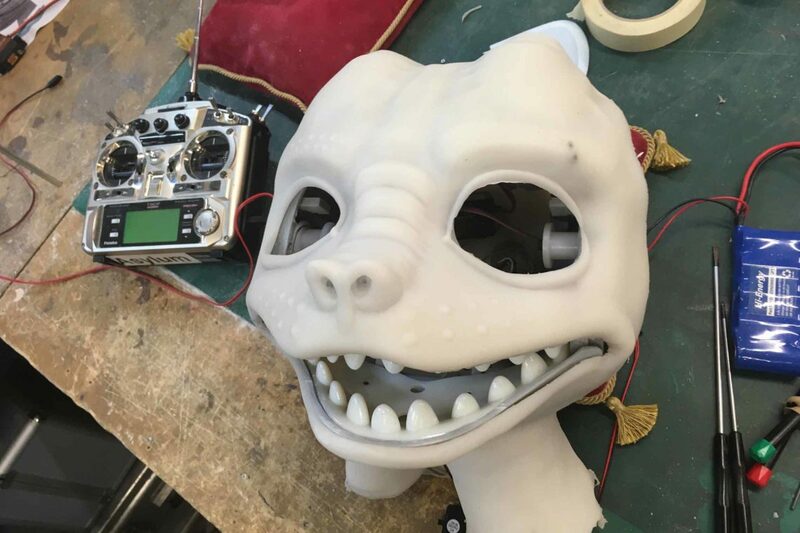 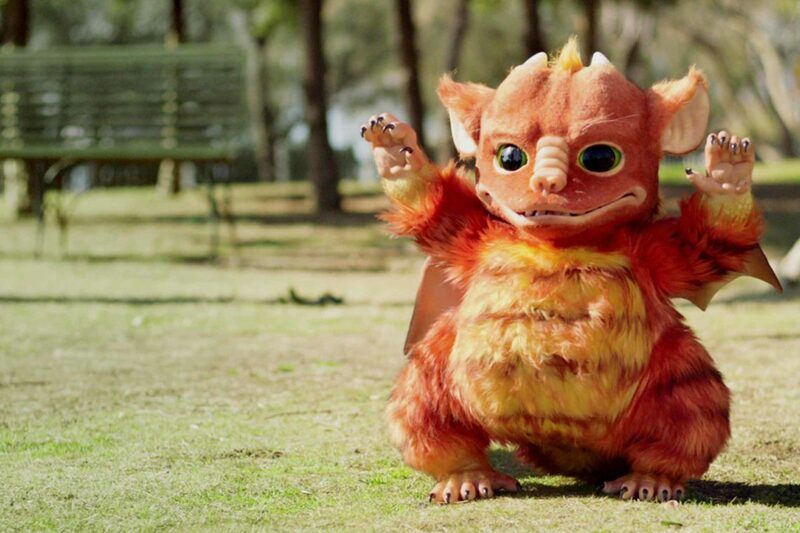 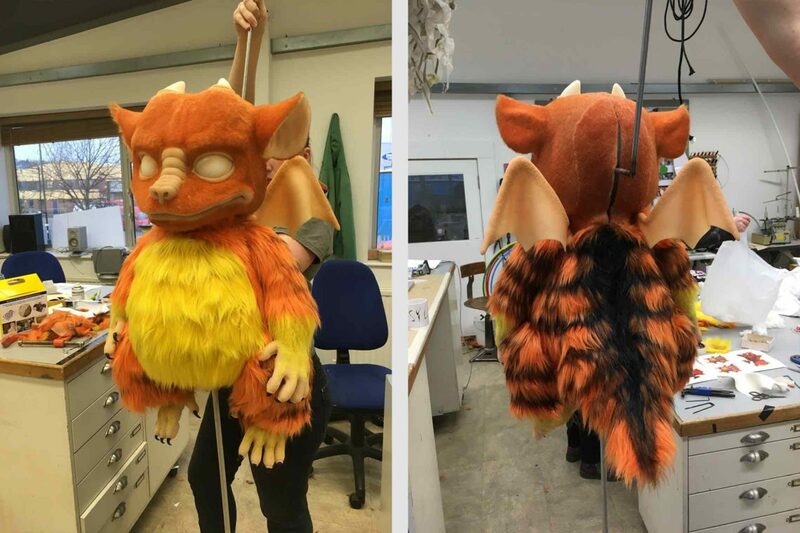 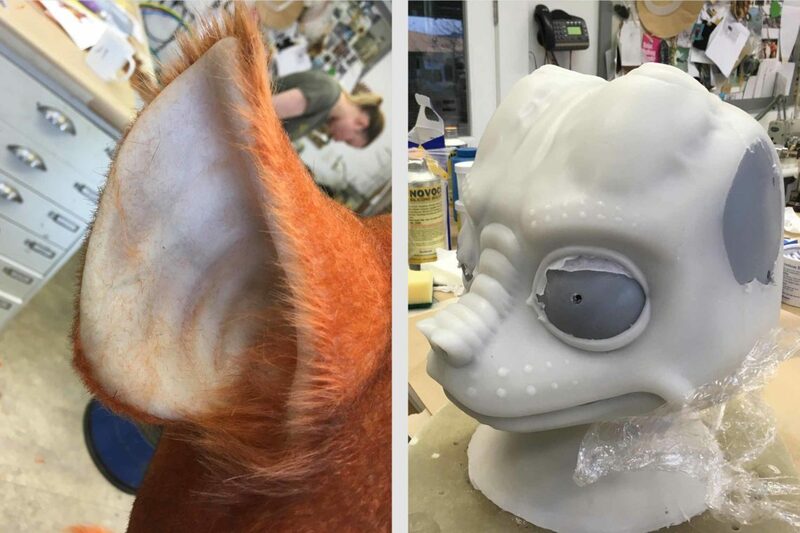 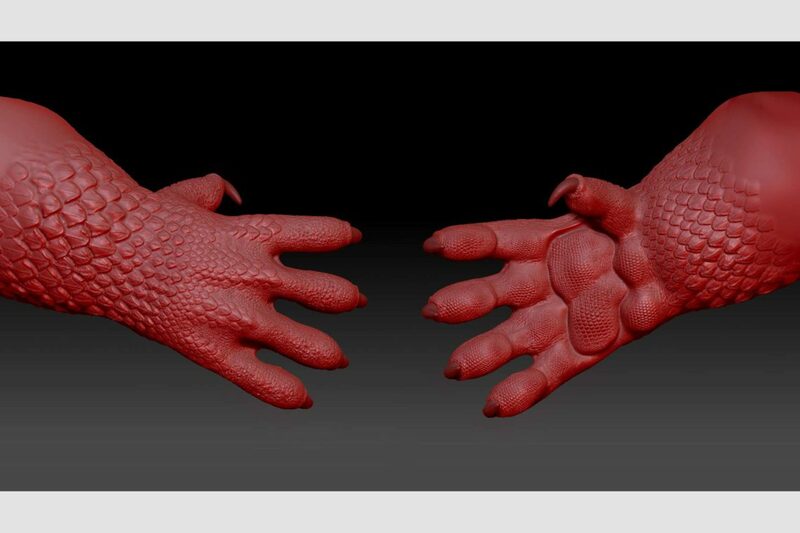 Doritos Heat Burst Dragon – Asylum Models & Effects Ltd.
From character design to fabrication, Asylum involved every department to produce this adorable puppet within 8 weeks. 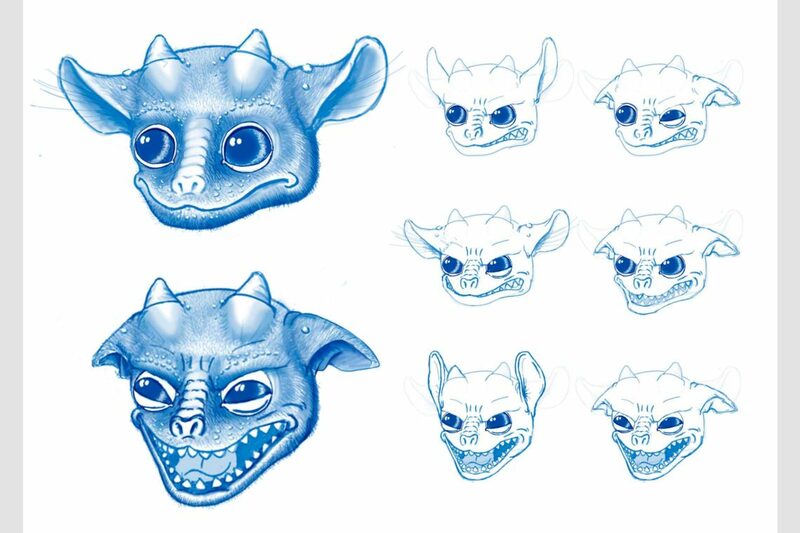 Our in-house designers worked closely with the clients, thrashing out various versions of the baby dragon before it was drawn in 3d. 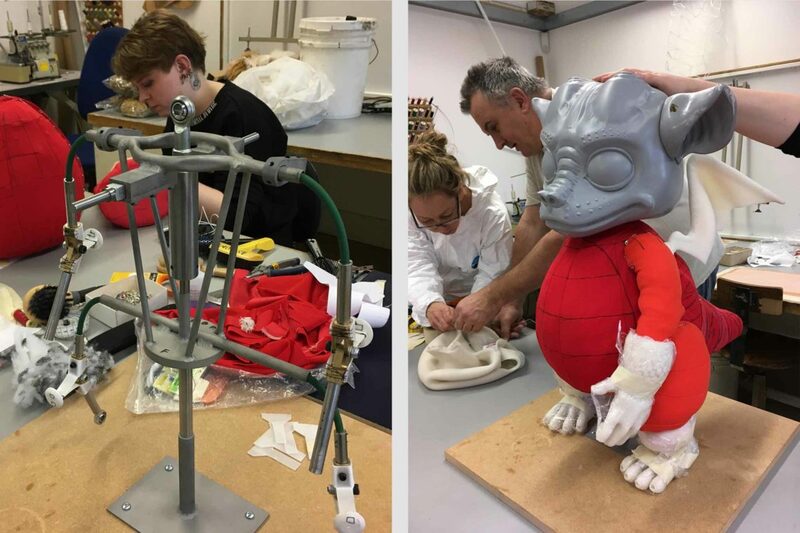 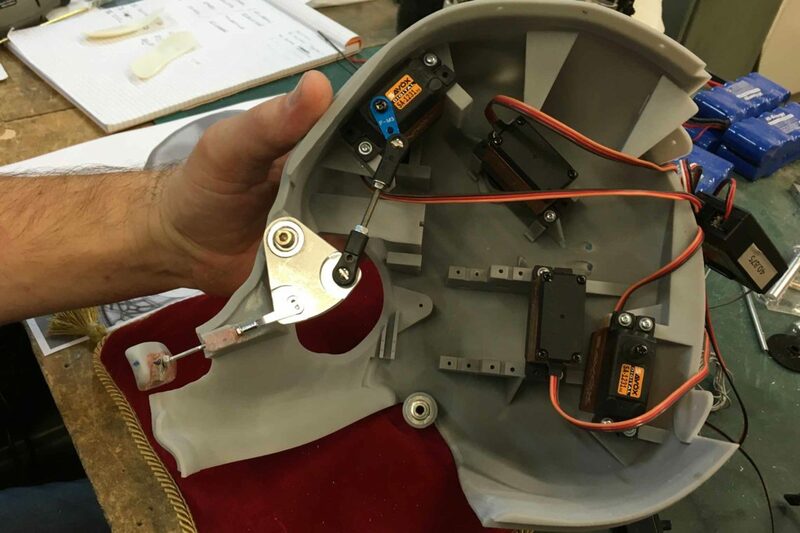 Life size plans were produced for our engineers to design the internal frame and position the servos for the animatronic facial features. 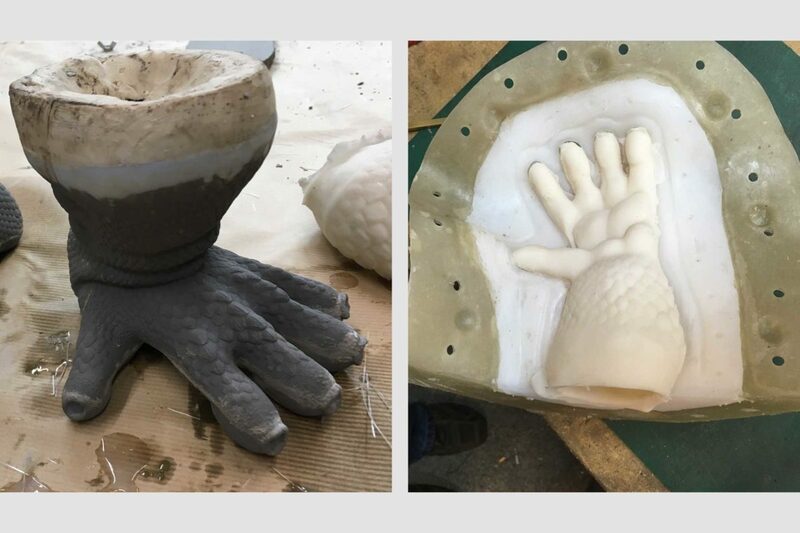 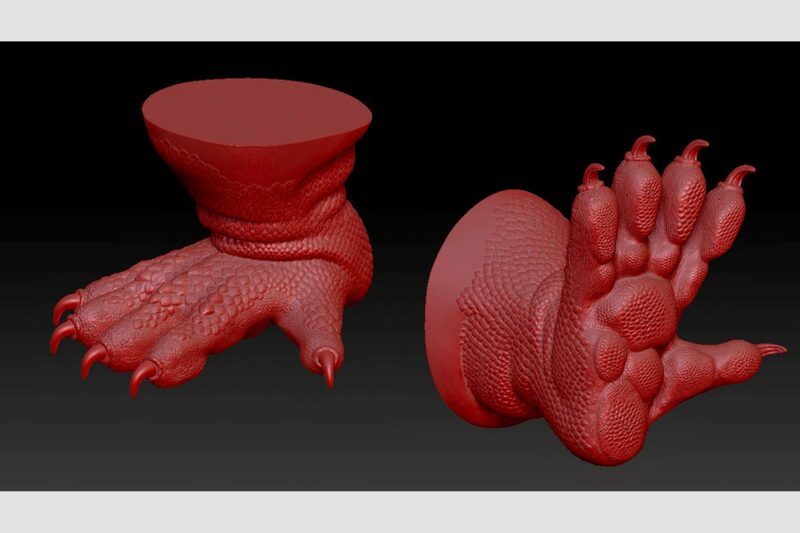 Digital sculpts of the hands, feet and head were 3d printed for moulding, with precisely measured cores, to produce silicon skins with a consistent thickness. 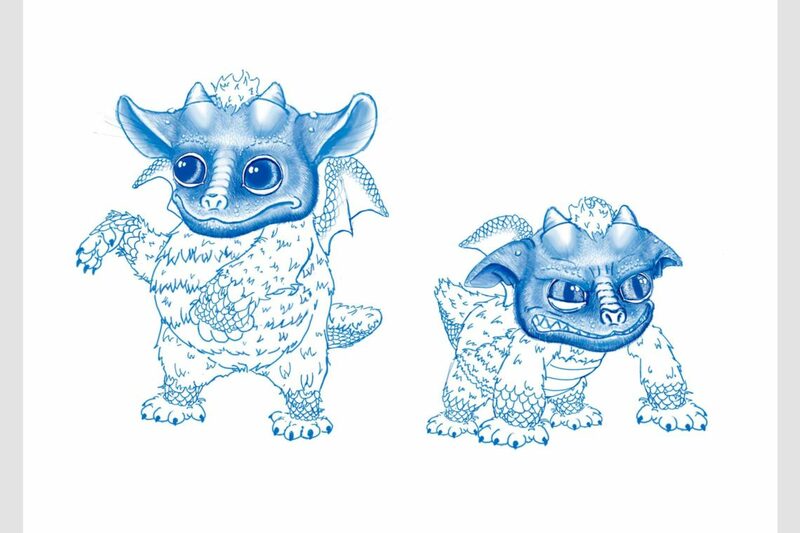 With the aid of the digital layout, patterns were also made for the fabric and fun fur cutting, recreating an accurately shaped body. 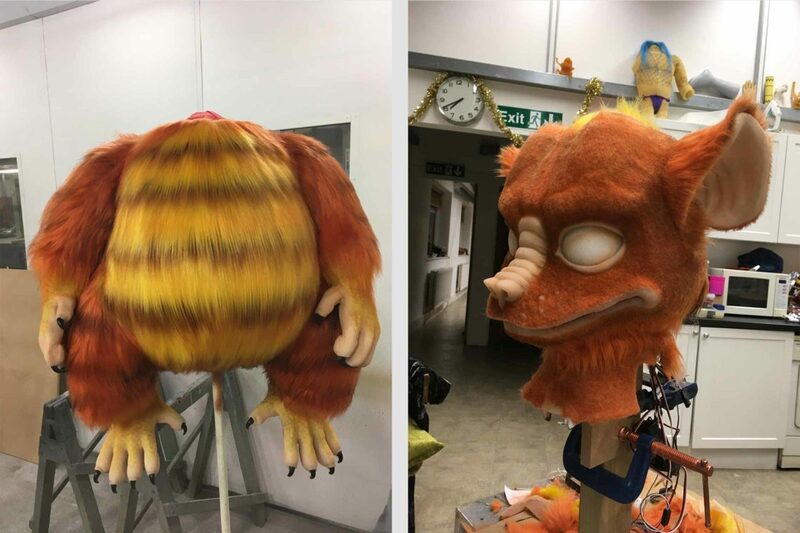 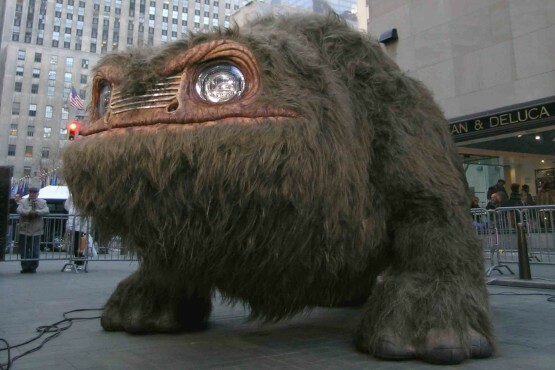 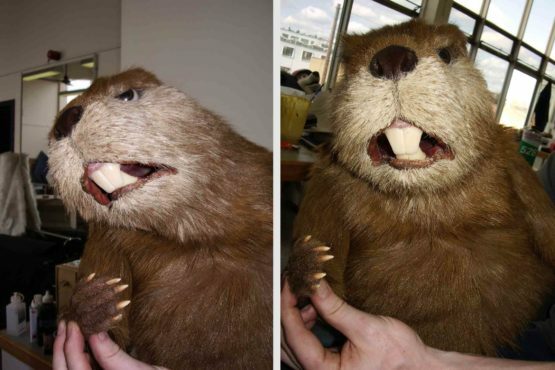 The use of hair punching and cutting, blended the fur for a natural look.